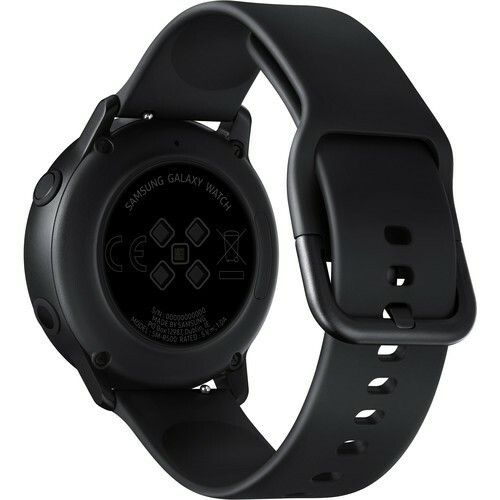 iShopping.pk brings you the best price for Samsung Galaxy Active Smartwatch Black with express shipping all over Pakistan. 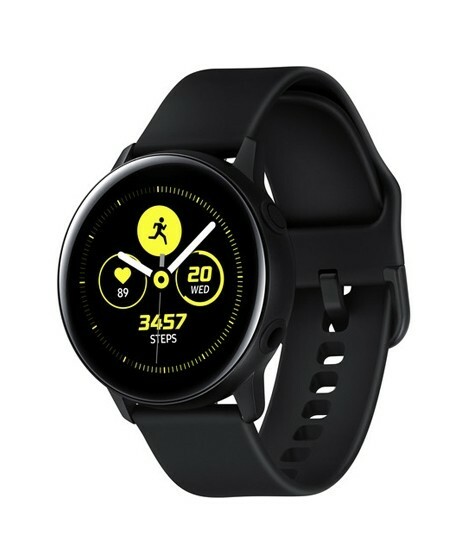 The Samsung Galaxy Watch Active features a 1.1" circular 360 x 360 resolution AMOLED display complete with a 1.15 GHz dual-core processor, 4GB of storage, and 768MB of RAM memory, and it runs on Samsung's Tizen 4.0 operating system. Its 230mAh battery gives you up to 45 hours of use on a single charge and can be recharged wirelessly with a compatible smartphone with Samsung's Wireless PowerShare feature. 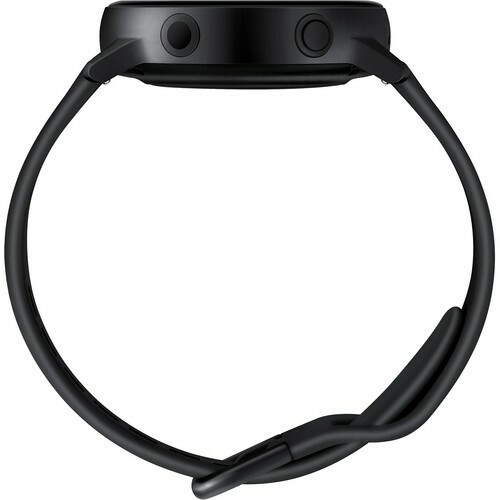 In addition, this watch supports mobile payments via NFC and features standalone A-GPS/Glonass functionality, and it is designed for durability with Corning Gorilla 3. The durable Galaxy Watch Active is even water resistant up to 5 ATM and is IP68 rated. If that isn't enough, the Samsung Galaxy Watch Active connects you with family and friends even without your smartphone. This wearable lets you reply to messages using speech-to-text, emoticons, or its intuitive keyboard. You can mix and match your style with its customizable watch faces and colorful bands. 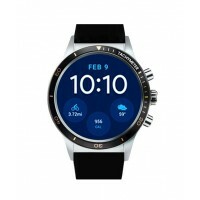 This wearable keeps you connected to a world of entertainment with plenty of apps to download like MyFitnessPal, Spotify, and more. 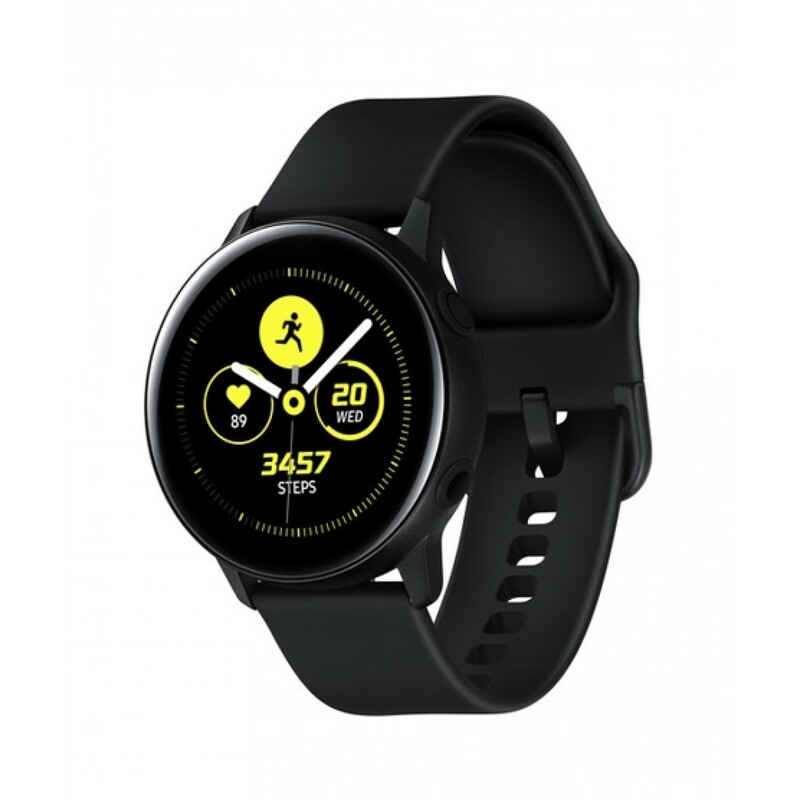 The Galaxy Watch Active puts smart blood pressure tracking right on your wrist. You can download My BP Lab, the research app jointly developed with the University of California, San Francisco (UCSF), directly to Galaxy Watch Active to monitor blood pressure and keep better track of your physical health every day. Managing stress is made simple on the Galaxy Watch Active. This wearable will monitor your stress levels and offer breathing exercises to help you stay balanced, focused, and guided towards long-term health. The Galaxy Watch Active keeps up with your active lifestyle by auto-detecting when you bike, run, use the elliptical, or more. You can manually engage in more than 39 activities, set daily goals, and monitor your progress. This wearable can monitor you overnight to track your four stages of sleep so you know how much sleep you're getting and at what stage. When you wake up, you can view a rundown of your previous night's rest and learn how you rested.